This event, organized primarily by the Jewish Federations of North America and the Religious Action Committee of Reform Judaism, along with numerous other sponsors throughout the Jewish community, provides for a day of education regarding policy and lobbying skills and coordinated conversations with government elected officials and their staff. This year, JDAD focused on two pieces of legislation aimed at helping older adults and people with disabilities to live in their communities and maintain financial security. The historically bipartisan-supported legislation known as the EMPOWER Care Act (H.R. 1432) would reauthorize Money Follows the Person (MFP) for five years. This Medicaid program gives states extra dollars to provide employment, housing and other services needed to assist people transitioning from nursing homes and institutions to apartments or group homes. As one of the longest running and most successful state-run programs, MFP has been shown to save money (as much as 20 percent to overall Medicare and Medicaid spending) and help states “rebalance” their spending on long-term services and supports. This reauthorization also proposes to shorten the time a beneficiary must reside in an institution from 90 to 60 days before being eligible for the support. As described by Elizabeth Cullen, the JFNA counsel of health policy, the EMPOWER Act provides choice to the most vulnerable of our populations. The Stephen Beck Jr. Achieving a Better Life Experience (ABLE) Act of 2014, for the first time, allowed people with disabilities (acquired before the age of 26) and their families to establish tax-advantaged savings and investment plans called ABLE Accounts. These accounts ease financial strain and provide resources for badly needed disability-related expenditures without jeopardizing essential benefits, such as Supplemental Security Income (SSI) or Medicaid. The currently proposed ABLE Age Adjustment Act (HS817/H.R. 1874) seeks to raise the age limit so that those who have acquired a disability before the age of 46 will also be eligible for this program. Some ABLE Account programs are in danger of failing because the pool of applicants is not sufficiently robust to sustain the costs of the program. The age limit has effectively excluded many people who become disabled later in life, such as people with spinal cord injuries, Lou Gehrig’s disease and multiple sclerosis. 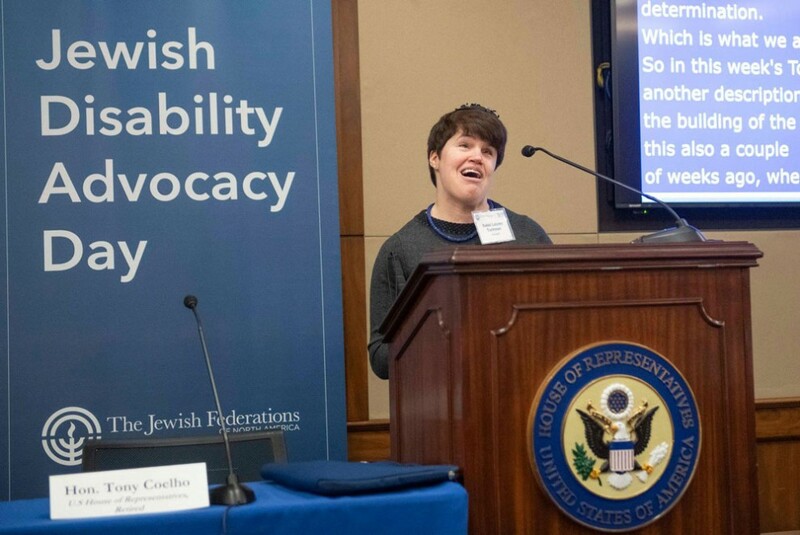 During this year’s JDAD, there were many inspirational conversations and presentations regarding disability rights in general and on these specific pieces of legislation. However, perhaps of more concern are the underlying assaults to the currently accepted Americans with Disabilities Act. As discussed by panelists Hon. Tony Coelho, Esmé Grant Grewal, and Neil Romano, if the ADA is not enforced vigorously as the law, it is not a law. This is a deep issue of civil rights for people with disabilities and the preservation of the ADA is essential. Hope to see you next year at JDAD 2020!